Contents of Part B. List of Contributors. Preface. Contents of Other Volumes. The Heart, A.P. Farrell and D.R. Jones. The Arterial System, P.G. Bushnell, D.R. Jones and A.P. Farrell. The Venous System, G.H. Satchell. The Secondary Vascular System, J.F. Steffensen and J.P. Lomholt. Cardiac Energy Metabolism, W.R. Driedzic. Excitation-Contraction Coupling in the Teleost Heart, G.F. Tibbits, C.D. Moyes and L. Hove-Madsen. Author Index. Systematic Index. Subject Index. 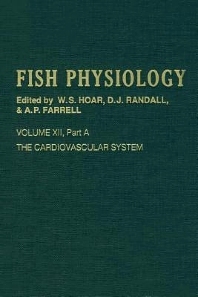 This book and its companion, Fish Physiology, Volume 12, Part B, are the first major syntheses of recent advances, general concepts, and species diversity of fish in almost 25 years. It provides broad coverage of the major aspects of cardiovascular physiology and is a definitive sourcebook for the field. This book discusses the special design of the venous system in aquatic vertebrates, reviews the nature of the secondary circulation in fish, and discusses the probable absence of the lymphatic system. It is of value to teachers in comparative physiology as well as to the researcher. AUDIENCE: Fish and wildlife biologists, physiologists, developmental biologists, zoologists, animal husbandry researchers, fishery biologists, and aquaculturists.